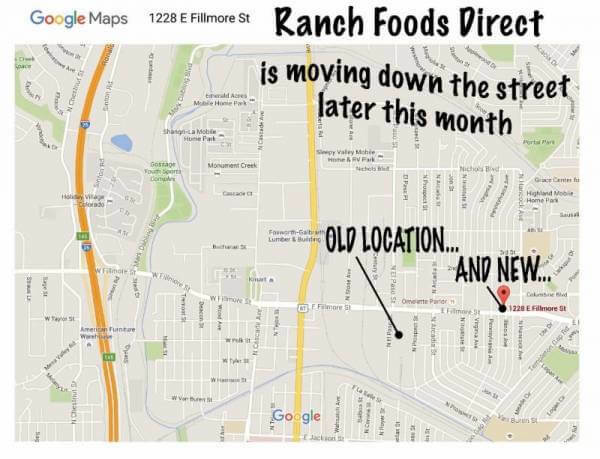 Ranch Foods Direct has moved from the old location at 2901 N. El Paso St. to a new location a few blocks East. The store is now located in the building that once housed the former Conway’s Red Top at 1228 E. Fillmore. The map below shows the new location, which is right on Fillmore St.